If you have been seriously injured in a NH motor vehicle collision, it is important that you retain an experienced NH injury lawyer. Prior to your initial consultation with your injury attorney, you should write down any and all information you can recall regarding prior car accidents and injuries, and prior insurance claims. These prior claims can include car accidents, workers compensation claims, or slip and falls, among other injuries. As NH injury attorneys, we know that insurance companies will find a way to access your prior claims history, and will attempt to use any prior or preexisting injuries to minimize the value of your current claim. Past injury claims will appear on a claims index and as such, it is important that you discuss them with your injury lawyer. Before meeting with your NH injury attorney, take a moment to write down all that you can remember about prior injuries and insurance claims. Important information would include the type of accident, the date and location of your prior claims, the injuries sustained, the insurance companies involved, and whether any monetary compensation was received. Empowering your NH injury lawyer with as much information as possible about your prior claims history will benefit you in the end. The NH Injury lawyers at Tenn And Tenn, P.A. 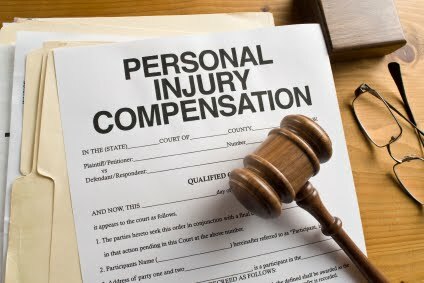 have more than 20 years experience fighting for the rights of injury victims. Car accidents, slip and falls, bicycle accidents, burns and scarring cases are just a few of the injury cases we handle. If you have sustained a serious injury in NH and need help, contact our Injury Attorneys today for a free consultation at 1-888-511-1010. Our NH attorneys strive to be the absolute best NH injury lawyers and will fight to obtain the best result possible for your injury case.